Today’s recipe is really yummy. 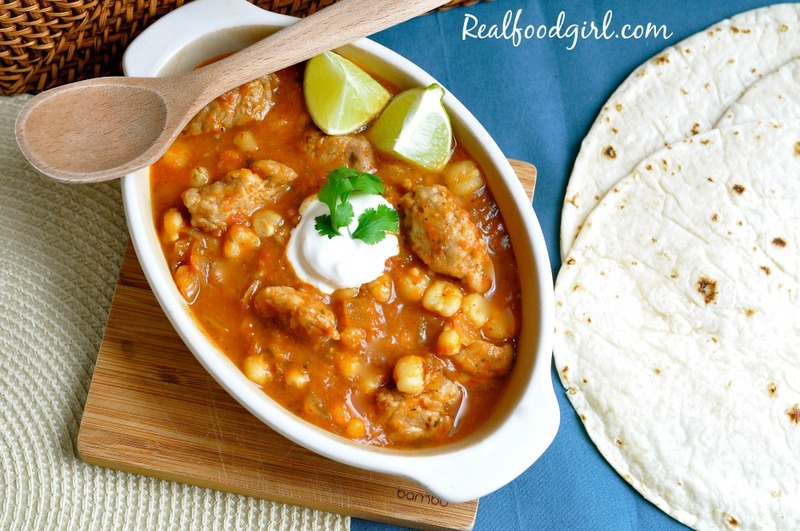 There is something about a rich, spicy, pork and hominy stew to get the taste buds revved up and bring a smile to my face. I typically make this dish over several hours in a Dutch oven and I buy some red chiles and make a sauce with them to enhance the flavor of this stew, but in this rendition, we’re short on time, so a few teaspoons of adobo sauce from a can of Chipotle chiles will have to do. This is one of the first 30-Minute Monday meals that TSM (The Stud Muffin) did not like. At all. He’s not a big soup/stew guy and apparently he’s not a big fan of hominy. I loved every bite of this and ate the left overs for 3 days straight. Of the three times I’ve made this, I liked it with the country style (boneless) pork ribs and the pork shoulder better than the pork tenderloin. I felt the meat was more uniform as far as tenderness was concerned. I didn’t end up with some tender and some tough or chewy pieces, they were all tender. The tenderloin just sort of seized up a bit because it wasn’t stewing in this divine liquid for several hours, but just a few minutes. I did ask you guys if you still wanted me to share recipes with you that either myself or TSM didn’t like, and you pretty much told me to share all recipes, no matter what because even if one or both of us did not care for the recipe, if it was still a sound recipe (but a matter of personal taste as to why we didn’t like it) you wanted me to share it because you guys just might fall in love with it. So, here is the first recipe that one of us didn’t like but the other one loved. I’m determined to get TSM to like this dish, and I think I have a couple ideas to change his mind the next time I make it. Until then, I’ll just share the recipe with you. Despite not spending more than a few minutes on the stovetop, this dish is very flavorful, and hearty. I sopped up the sauce with organic handmade tortillas, and added hunks of avocado and spritzed my bowl of Pozole with some fresh lime. Heck this would taste good as a “taco” with some crumbled queso fresco or cojita cheese. Mmm! Now that would make this dish out of this world, crazy-good. Don’t forget that we are using 80/20% real food ingredients for this series. I did not buy organic adobo sauce, and I wasn’t able to find organic canned hominy (I could have made it from dried, but that would have made this a 36-Hour Monday Meal, and “Ain’t nobody got time fo dat!”) so I got an imported brand. The rest of the ingredients were organic, GMO-Free or pastured. If you can’t afford pastured pork, don’t let that deter you from making this phenomenal dish, simply purchase some organic pork that has been raised humanely without antibiotics, GMO feed or hormones. If that is also out of the budget, a local pork raised without any hormones, antibiotics or GMO-Feed is still better than anything that Hormel, Smithfield, Iowa Select, Tyson, Wakefield, or another large pork company sells. 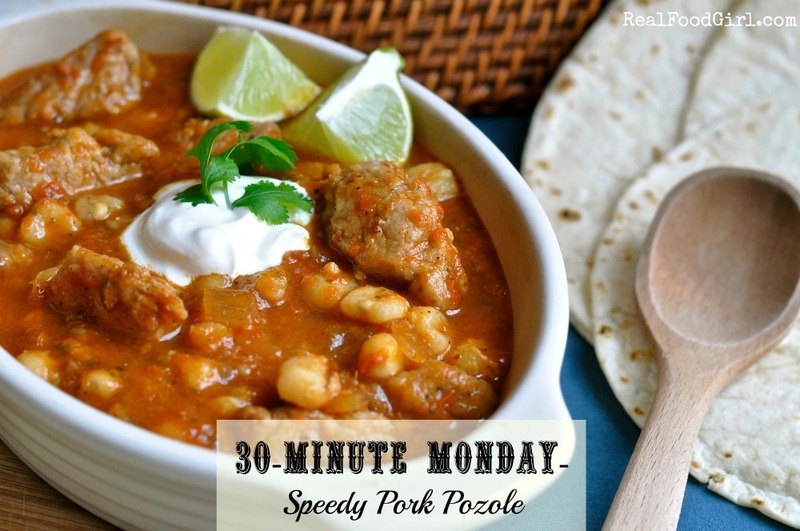 What is your favorite 30-Minute Monday Meal so far? 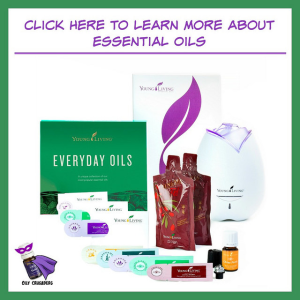 I’d love to hear from you, please feel free to reach out in the comments section below. 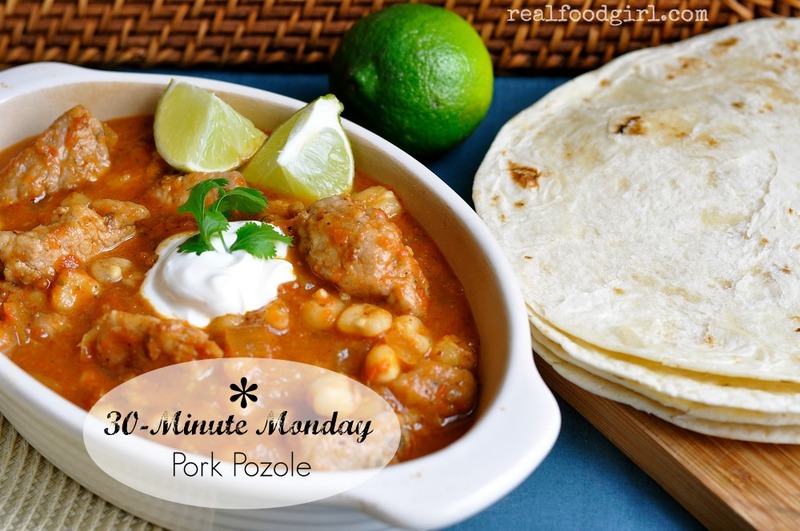 Classic pork and hominy stew. In a large saucepan, bring stock, tomatoes, hominy and a heaping 1/4 tsp. salt to a boil. Once it boils, cover, remove from heat and set aside. Meanwhile, pat your pork dry and liberally season with pepper and salt. Heat 1 TB of fat into a large dutch oven over medium-high heat. once it starts to shimmer, brown the pork lightly about 5 minutes. Transfer pork to a bowl and set aside. Add remaining TB of fat to the Dutch oven and return to medium-high heat. Add the onion and cook until softened about 5 minutes. To the onions add 1/2 tsp. salt, the adobo sauce, minced garlic and the chili powder. Stir to combine and continue cooking for about 60 seconds. To the onion mixture sprinkle on your 2 TB of flour, corn starch or arrow root powder and cook until lightly browned. About 1 minute. Slowly stir in the broth mixture, scraping up any browned bits. Bring to a simmer and cook until hominy is tender and warmed through. About 5 minutes. Stir in the pork with any accumulated juices and return to brief simmer. Off heat, stir in cilantro and season with salt and pepper to taste. Serve with a big spoonful of sour cream, some diced avocado, and tortillas and lime wedges. That’s Great! Thanks so much for sharing! It’s an really flavorful and so easy dish, They’ll love it! Kristine Great Recipe! Love Easy Dinner Recipes! Please feel free to submit to Foodisloverecipes.com! I’d love to share with my readers and subscribers! Why thank you Laurie. I’ll do that! 🙂 I’d love to share my recipes with some new people.